Boll & Branch products are ethically made and epically soft. They are a one-stop shop for everything you and your significant other need to build a home together: timeless bedding, plush towels, cozy throw blankets, and more. 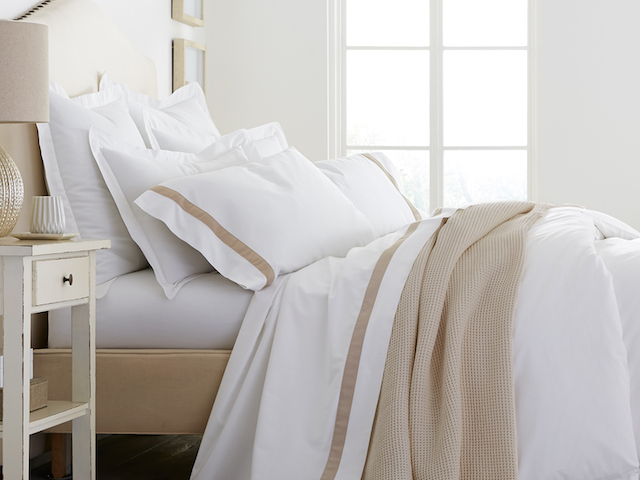 As the leading purchaser of organic, Fair Trade Certified™ cotton, Boll & Branch puts the "good" back in good night's sleep. You can sleep easy knowing their Fair Trade and GOTS certifications ensure their products meet rigorous social and environmental standards — no skin irritating chemicals, no toxic dyes, and fair wages for all.